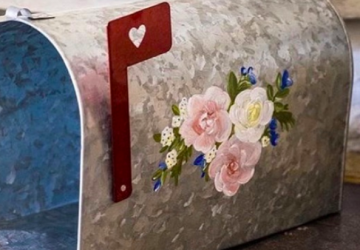 Wedding favours can often be one of the trickier aspects of wedding planning. 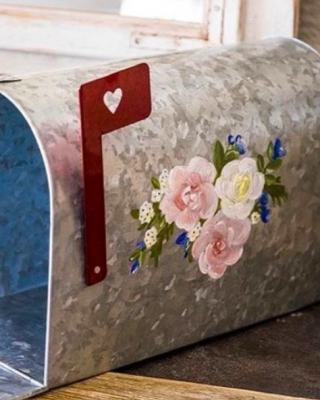 You want to choose favours that fit in with your wedding theme, reflect you both as a couple and of course, something that your guests will love! Don’t fret! We’ve done all the hard work for you. Take a look at our 15 wedding favours that are simply perfect for Winter weddings! 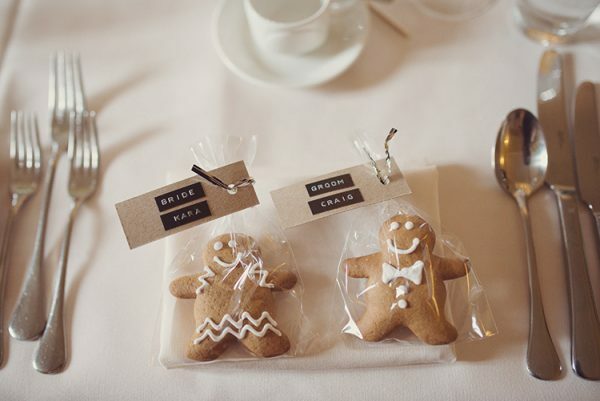 Gingerbread Men make the perfect Winter wedding favours. They’re festive, delicious and your guests will definitely appreciate them. 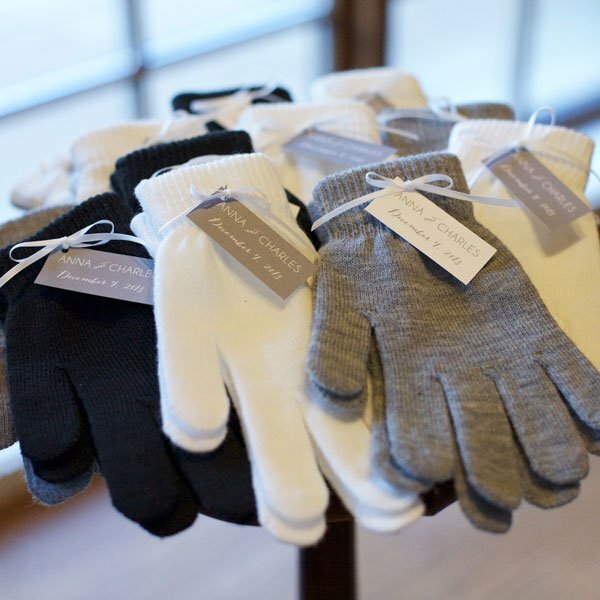 Keep your guests snug this Winter with cosy gloves as wedding favours. 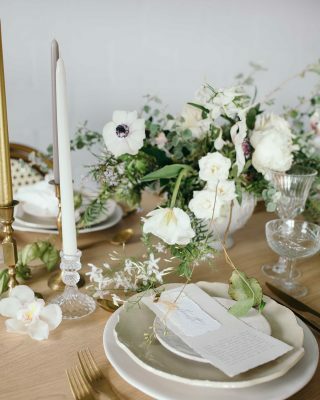 You could use colours that fit in with your wedding colour scheme, or keep it minimalist with white and grey. 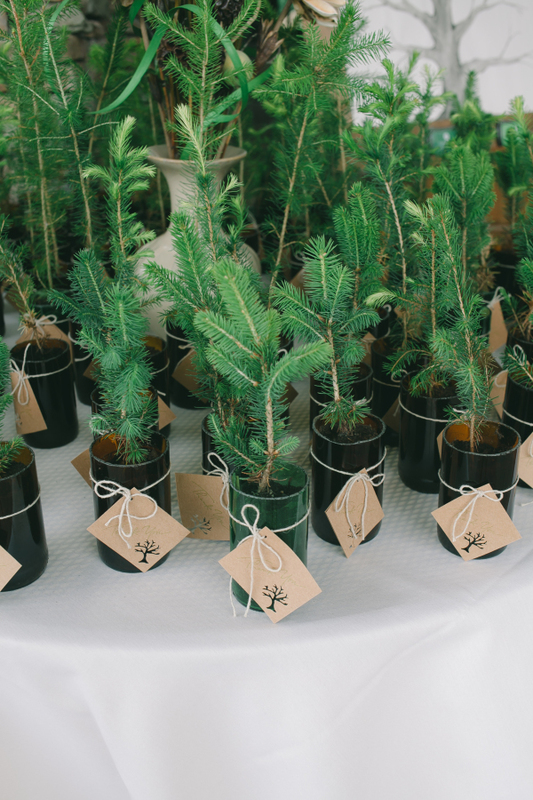 I love the idea of offering your guests mini Christmas trees to plant. They’ll be a lovely souvenir of your special day and it’ll wonderful watching them grow! Our ‘Perfect Match‘ wedding favours are always a popular choice for guests. 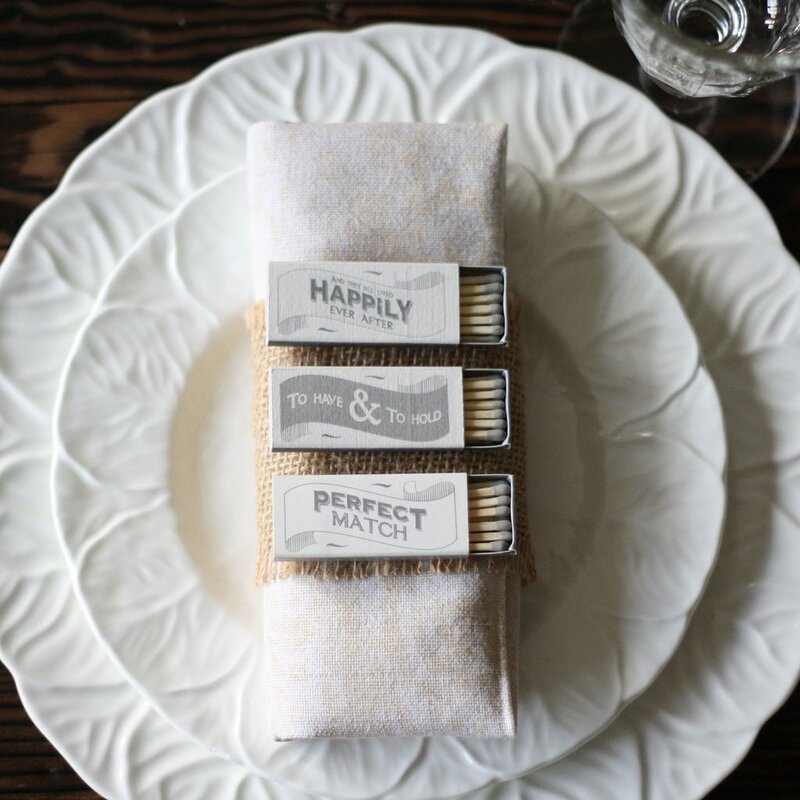 People love match box favours as they can be used at home to light candles. 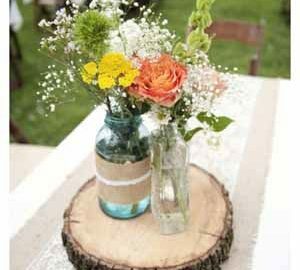 Every time they are used, your guests will think back to your special day. 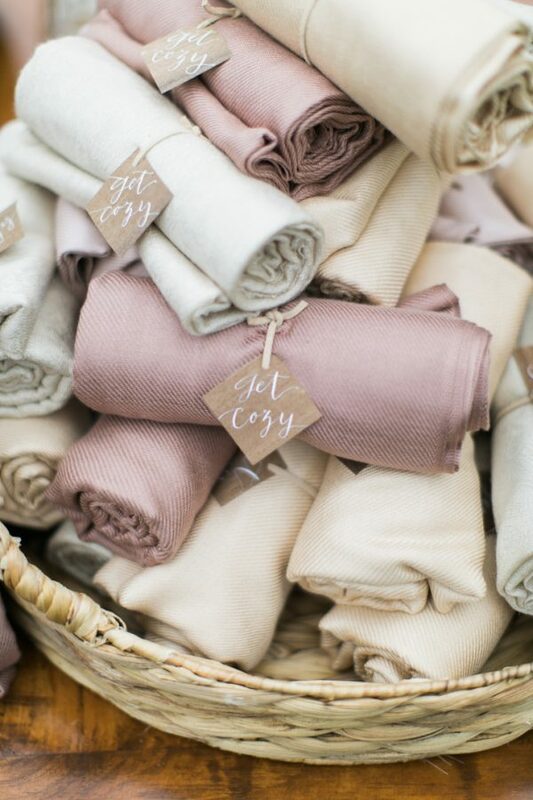 Shawls, scarves and blankets all make fab wedding favours. Provide your guests with blankets in a big wicker basket or wooden crate and offer around as the evening reception gets a little chillier. Looking for a way to get the party started? Then you’ll love our shot glass wedding favours! 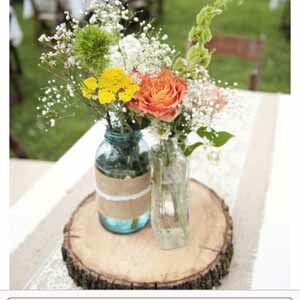 Place a shot glass at each your guests’ place settings and ask them to drink the shot during the wedding speeches. 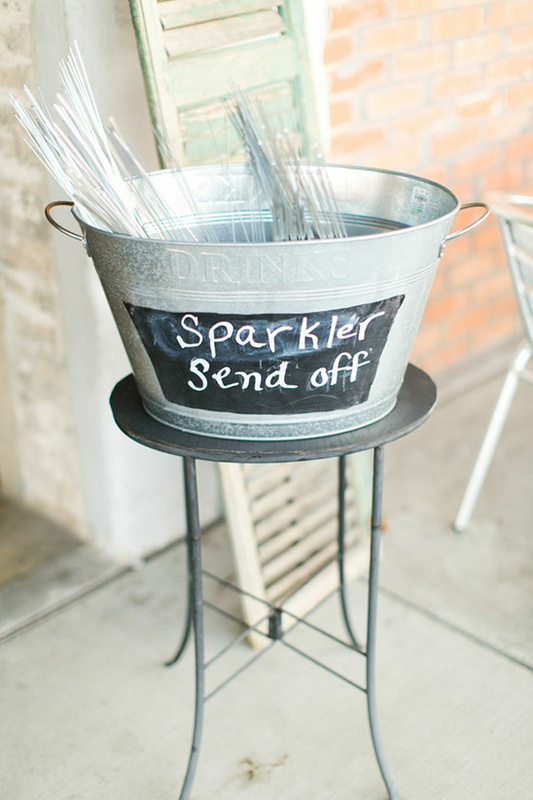 They work as a great ice-breaker between wedding guests and they’re guaranteed to make people smile! Alternatively you could resent your sloe gin in little bottles instead. 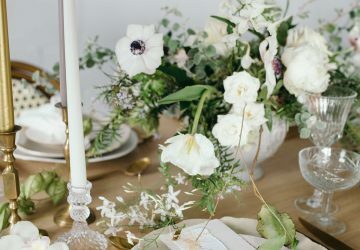 Planning a Christmas-themed Winter wedding? Then Christmas baubles are a wonderful choice for your wedding favours. You could offer your guests a variety of different baubles, or a personalised one with the name of each guest on. 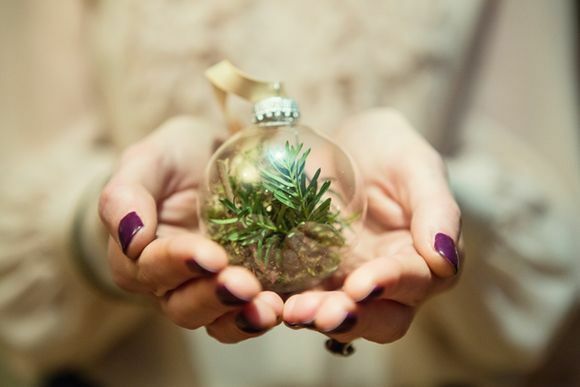 Your guests will love hanging the baubles on their Christmas tree and it’ll be a lovely reminder of your wedding day. 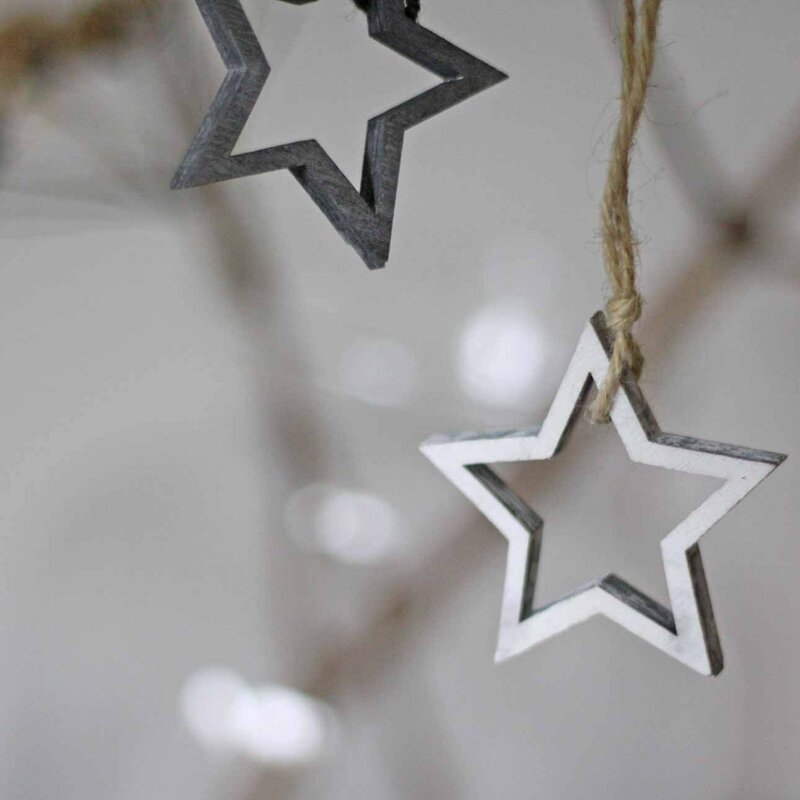 Speaking of Christmas decorations, have you seen our wooden stars? The small hanging stars work particularly well if you’re planning a woodland Winter wedding. They can be used to tie around napkins and cutlery, place on the napkin for your napkin dressing and guests can take them home and hang them on their Christmas tree. 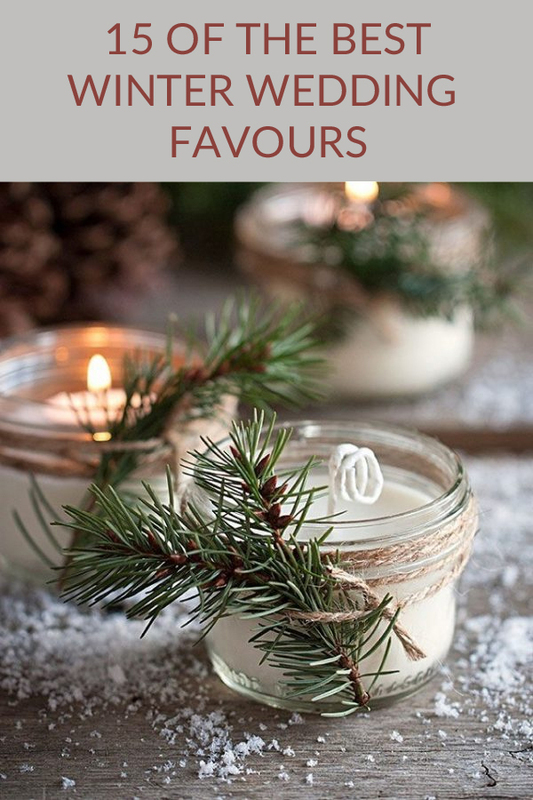 You really can’t go wrong with candles as wedding favours. Scented candles fit in perfectly with a Winter wedding, especially if they have a festive fragrance! 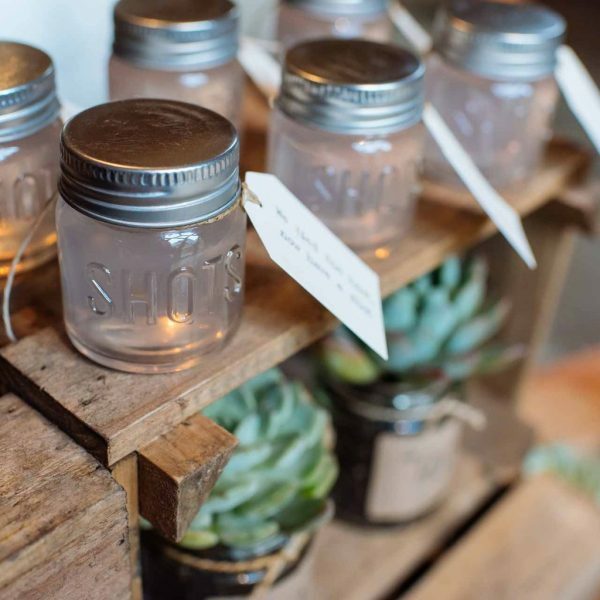 Candles can also be a DIY task for you and your bridesmaids and it’ll make them extra personal if you’ve made them. Read our step by step guide on how to make your own candles here. Hot chocolate is a necessity during the cold Winter months, so why not incorporate it into your favours? 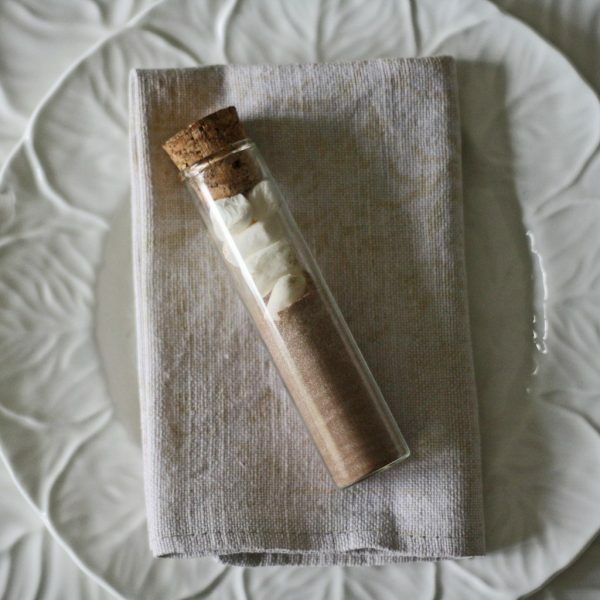 Fill our test tubes with hot cocoa powder and mini marshmallows – yummy! You’ll seen tons of gorgeous festive wreaths throughout the Winter and your wedding day is no exception! Mini wreaths at each place setting will look seriously cute, and your guests can hang them on their Christmas tree when they get back home. Bags of lavender are used throughout Spring and Summer weddings and they always smell beautiful. 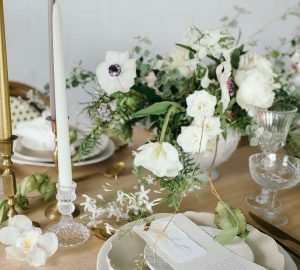 Opt for Christmas spices as an alternative for your Winter wedding. 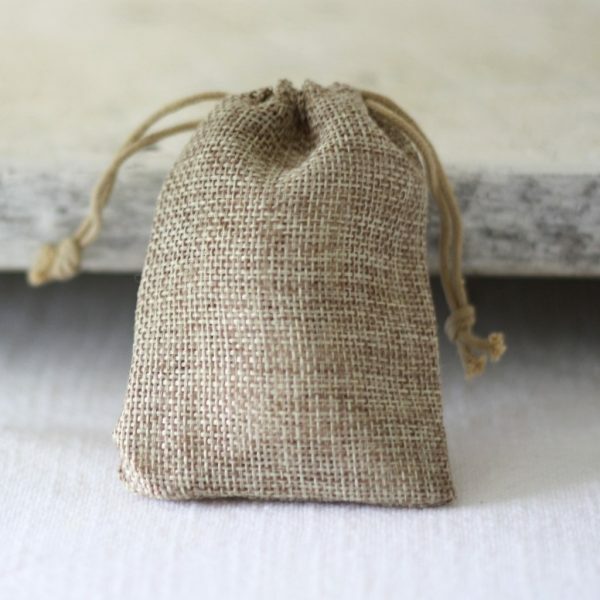 Simply fill a hessian wedding favour bag with festive potpourri and use at each place setting. It’ll also give your reception room a lovely fragrance. 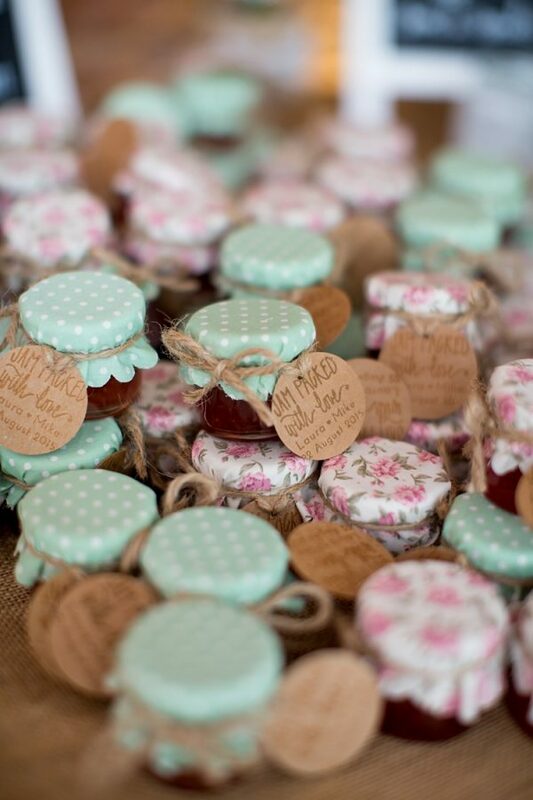 Jam wedding favours aren’t just for Spring and Summer weddings! Simply fill little jars with spiced jams, chutney and cranberry sauce. 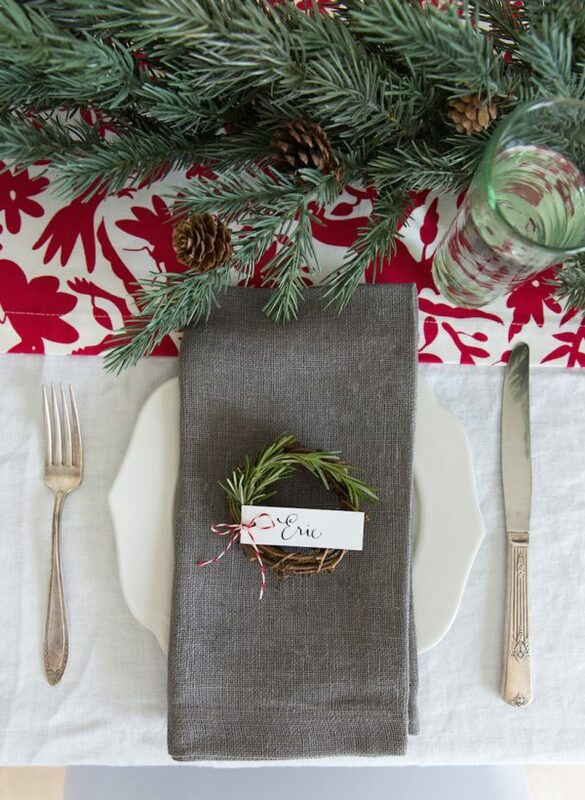 Your guests will love the idea and they can use them with their Christmas lunch! Cookies, biscuits and cakes are frequently used as favours, but have you ever considered offering your guests mince pies? They’re a fab choice for a Winter wedding and your guests will enjoy eating them during the reception. 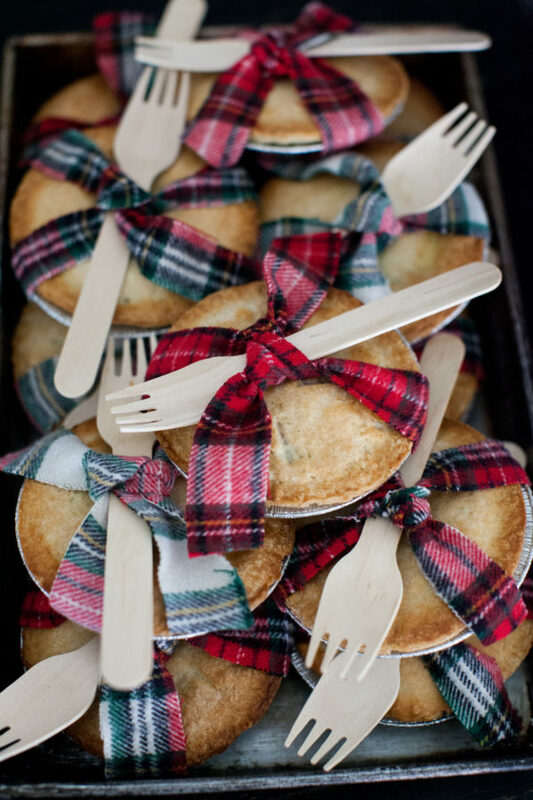 Wrap with a festive tartan ribbon and you’ve got yourself a tasty Winter wedding favour. 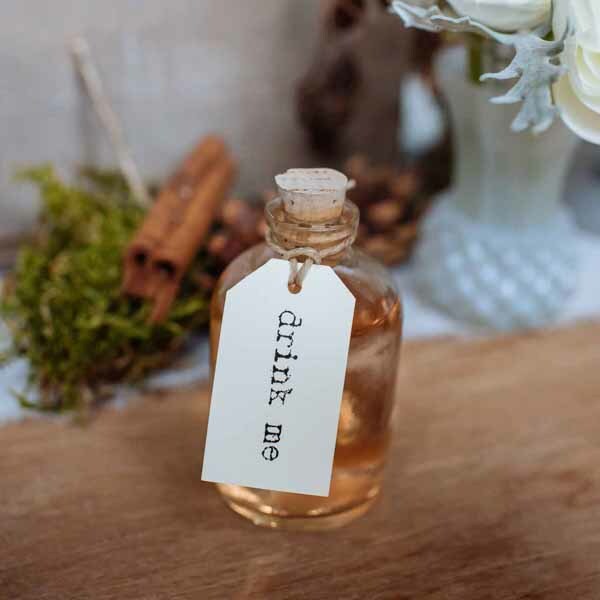 When it comes to Winter wedding favours you want to make sure that your guests appreciate them. 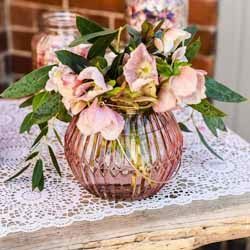 A lot of wedding favours are often forgotten about or discarded, but you can be sure with our 15 fab ideas this won’t happen!